Two very glamorous dining rooms in two very different color schemes. I happen to adore both because they are feminine, yet sophisticated and chic. I am just curious, which one do you guys think would be your choice to entertain in? Let me know which one you decide in the comments below! 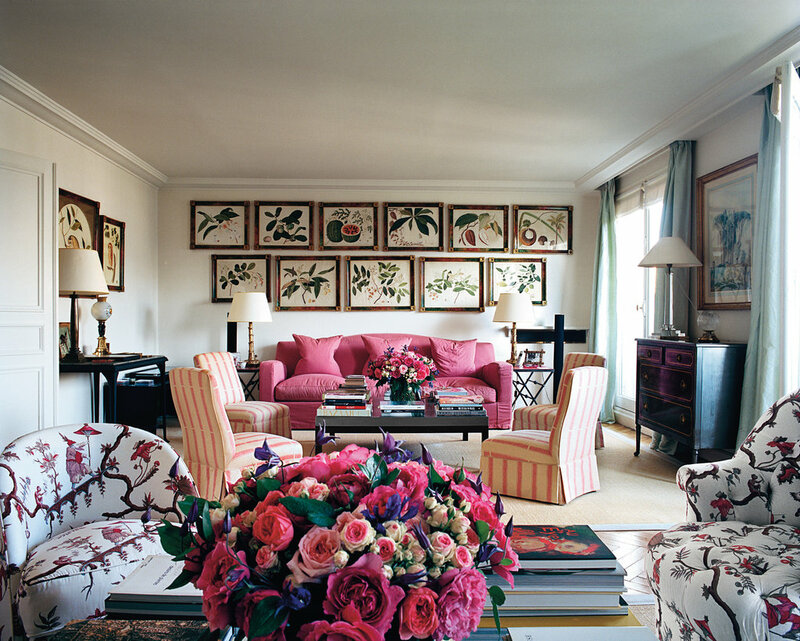 The apartment of Miles Redd is one of my all time favorite uses of pink on walls. EVER. that I can get my pretty little hands on. For some reason I have just been really drawn to hot pink, shocking I'm sure. I have some upcoming photo shoots this week, doing a few rooftop entertaining looks and I found the perfect place to shop for these things...C.Wonder. Aside from flowers bringing the color, the store is jam packed with colorful, vibrant and on trend items that will really give my tabletop some personality. This ikat tray has great shades of pink, red and orange that will match a lot of different looks. I love gold and I love bamboo so this bamboo salad set is perfect for salad and the gold bamboo setting will make everything look so much more glam. I love the look of mixed glassware. So these chevron low glasses go perfectly with these pink neon tumblers for some personality. I always start with napkins rings and then choose the napkin. I adore these chain link napkin rings and I think they would mix perfect with this ikat napkin. You have always got to throw in something unexpected and I adore this lobster bottle opener. These cute white foo dogs mixed with some candles and flowers could be a cute centerpiece. Also, pineapples are good luck so I would suggest grabbing a few of these pineapple stirrers for some extra fun in the sun. and its this gorgeous deep green and milky light pink with hints of gold. It's so beautiful I can hardly contain my excitement. It caused me to literally hit up my local antique spots for some colored glass. I need to recreate this look for an upcoming spring brunch I'm having at the apartment. 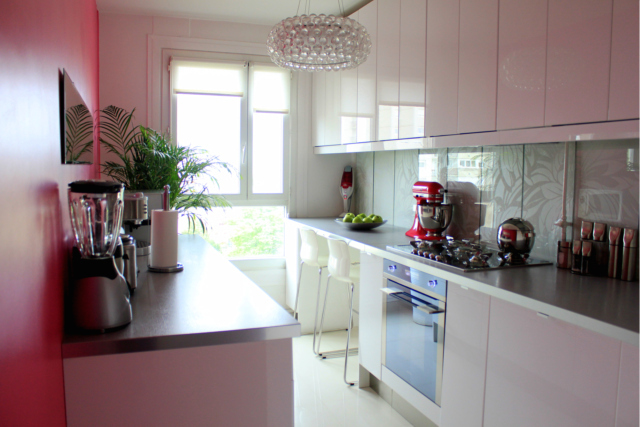 I love the way hot pink looks against these dark walls in this lovely SF apartment. Bold color really has me going lately. There is nothing I love more than loving my home. It's so special to me, achieving domestic bliss is my lifelong purpose. It's so good. So when the NY times decided to grace us with the lovely Parisian lady space of Lee Radziwill, and she happens to be Jackie Kennedy's sister. 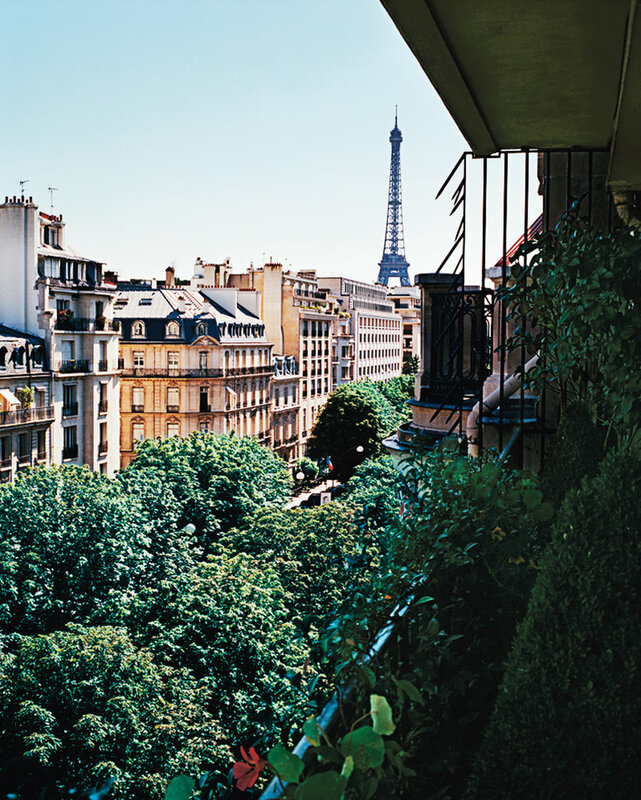 I am captivated by her home. White walls (hello, my new obsession) and a bright pink sofa. Two killer elements for a femme space. Not to mention the gorgeous light blue curtains, beautiful chinoiserie chairs, and 11 framed botanical prints on the main wall. It's so bright and fun and perfect for entertaining with 2 seating areas for killer conversations. 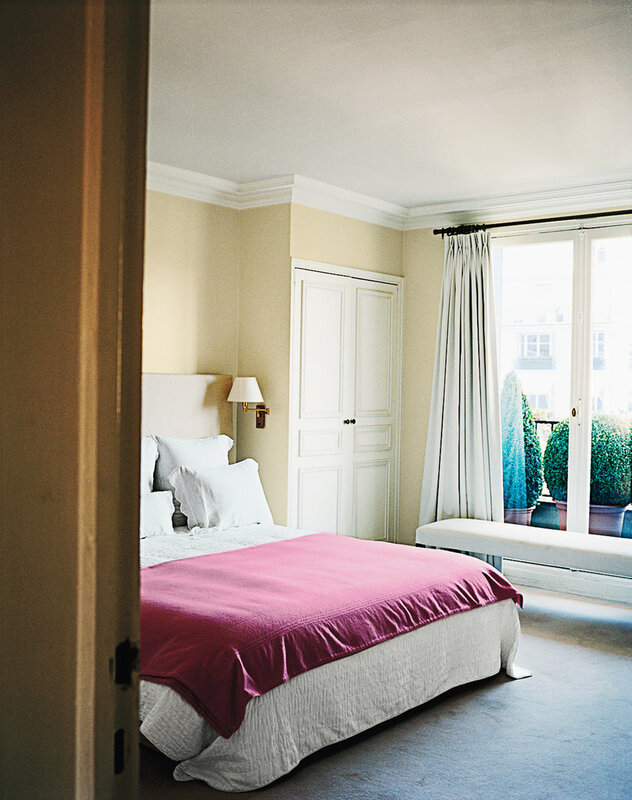 Her bedroom is lovely and simple for deep sleeps and those gigantic topiaries outside on the balcony are insanely good. Love them. Who doesn't love piles and piles of light pink roses mixed with the most gorgeous flowers. One way to enjoy your space, lots and lots of flowers. Read more about this fabulous + fascinating woman here. Camilla Freeman Topper. My new style muse has literally perfect the art of mixing modern contemporary, feminine and rustic french decor styles and making is look incredibly chic. The designer from Camilla and Marc just has a style all her very own. The pink chesterfield sofa just had me at hello and mixing it with a bit of zebra and neon hued artwork, its absolutely genius. I have a new Christmas wish, this home decor, I want it all! Greens and black and white is always a super chic look. I love a little pink mixed in too, pink and green is one of my favorite combos. This dining room in Nicky Hilton's glamorous pad is one of my favorite uses of green and pink. Aside from being just an amazing accent color. 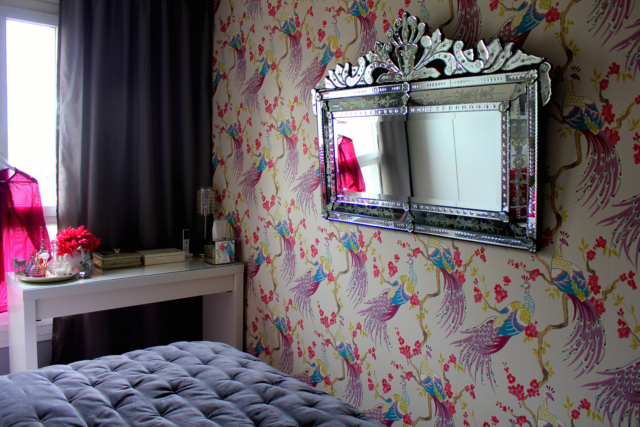 This room makeover just shows you what a stunning color it is on its own. I love what emerald green did for this little white bedroom. I adore photographer patrick cline who shoots for lonny mag...he is far too overlooked by this decor but the way in which he captures interiors just captures me. 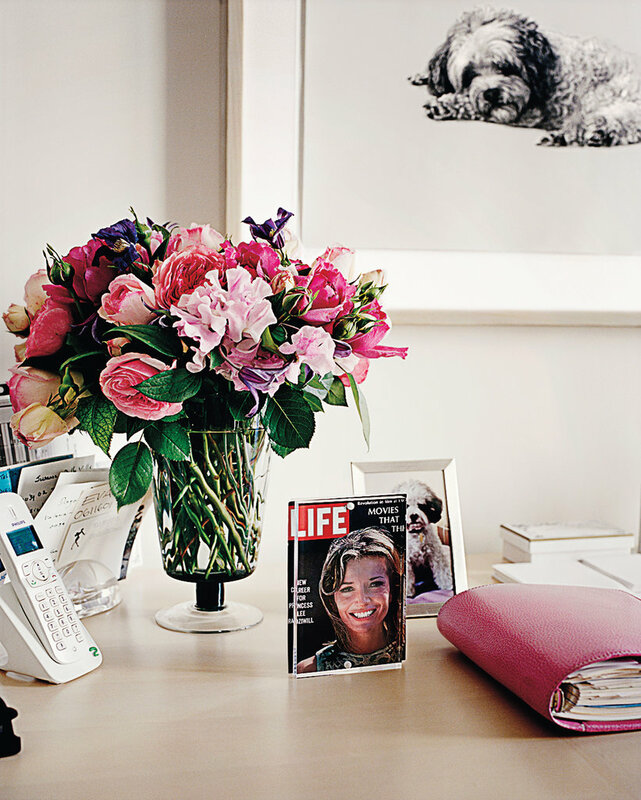 Completely enamored by this gorgeous black and white office with peachy pink details. Tobi Fairley did an excellent job on this one...it's right up my alley. I am loving everything about this room. 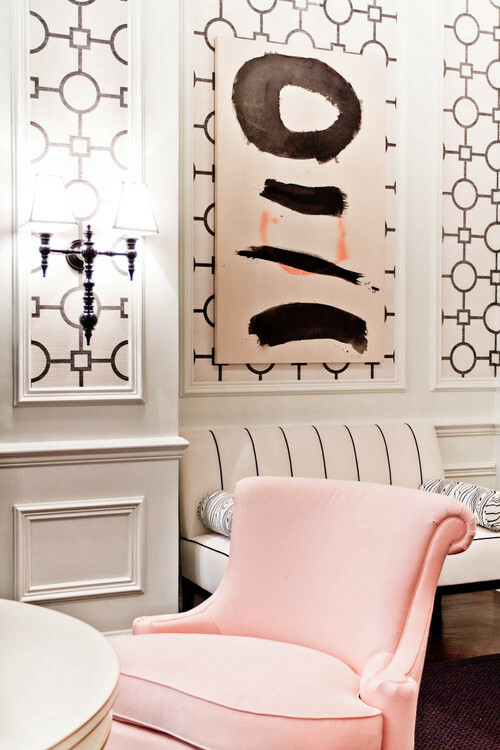 The dark carpeting is so chic with pops of white and pink above it. 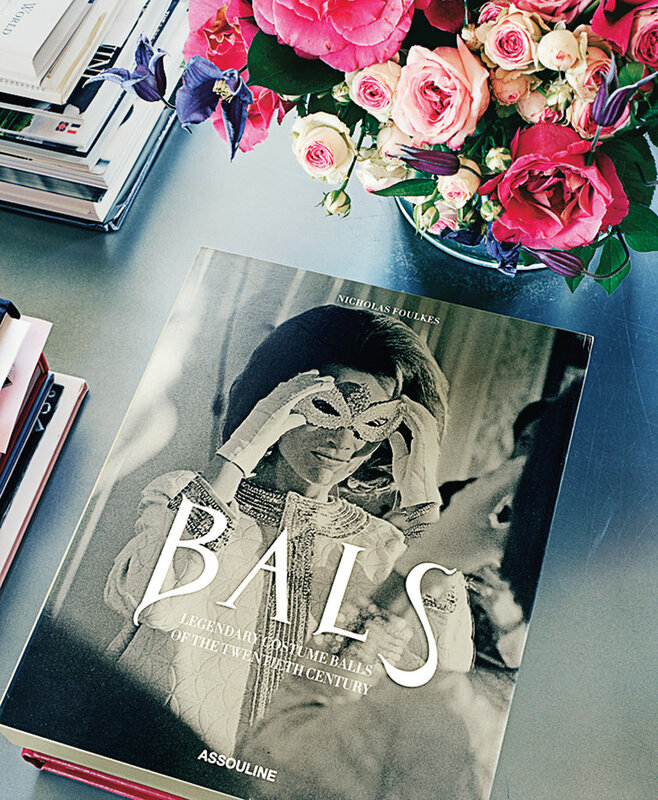 A chic bust in the center of the table makes for the best accessorizing in a traditional room. I also adore the black trim on the white sofa. Just everything is really good here. Her entryway kills me with that leopard runner, dark chocolate walls and pretty pink silk chairs. She mixed in accents of gold with super style. How incredibly chic is that clear coffee table? So glamorous. She mixes metallics with such panache, I just love it. The dining room with accents of green was such a great touch too. This color combo is just perfection. When I found some incredible images of peach spaces, I realized just how beautiful and non feminine the color can really go. It has such a sophisticated feel and complements a more exotic color palate, but you can really work with any style of your choice. In an effort to keep it from being too feminine, I would probably keep the walls neutral and let the pretty pink sofa speak volumes in terms of color. Brown wall + pink sofa is such a great combo though, and I love the look in this entryway. Mixing sofa colors is cool too. I love the grey with the pink, totally spices up this living room. Out of all of this amazing inspiration, this photo is my favorite. Plain and beautiful white walls with a chic girl coming home from work, black and white accents abounding... I just love it. Pardon my photos, they are the best my little iphone could capture. The styling in the store is just beyond. 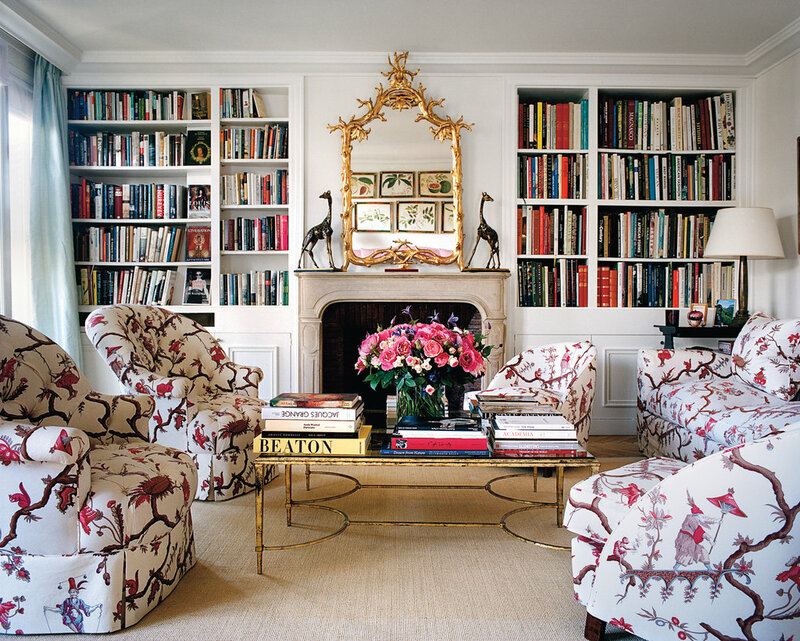 While I love the clothes and accessories, all I could marvel at were the furnishings and styling. The entryway is pure glamour and the marble walls are incredibly chic. Little accessories in white, black and gold (my favorite color combination) were throughout the store. 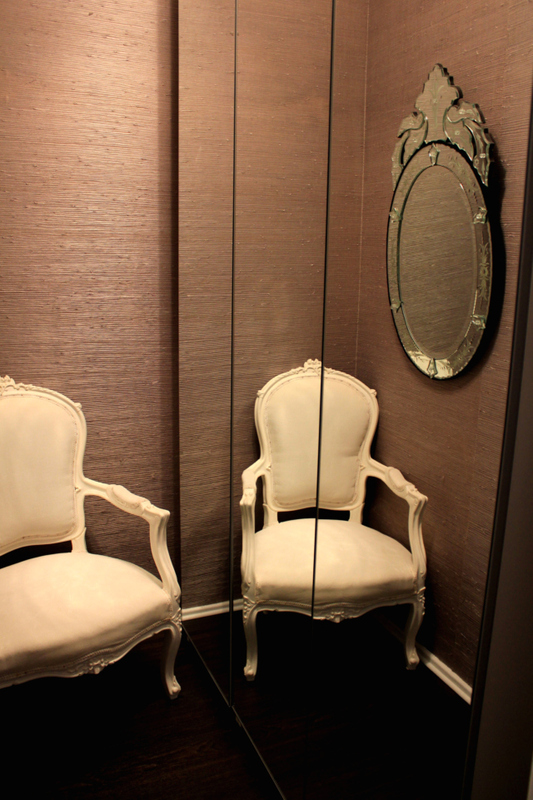 The chicest part, the dressing rooms. Antique mirrored walls and gold light fixtures next to gold art. I just can't get enough of her style. If you haven't been yet, you MUST GO! I love the sweet colors in the space. Hot pink and orange are always winners in my book! 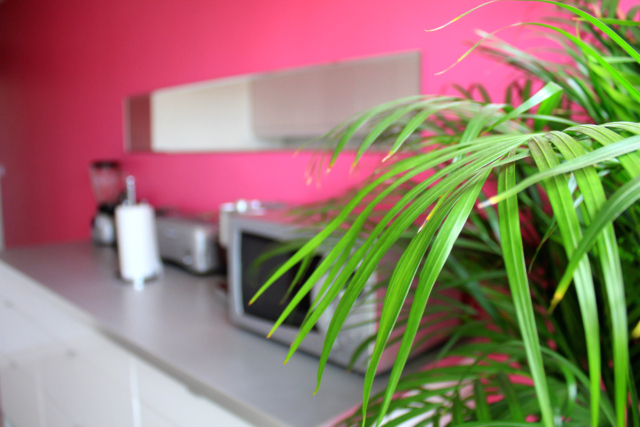 My favorite part of the whole space...the pretty pink flamingo!